Do I qualify for a Working Holiday visa? An Australia Working Holiday visa (subclass 417) will allow the visa holder to travel through Australia for up to twelve months. As work is permitted, it’s ideal for tourists who would like to earn some extra spending money whilst travelling. People aged 18 to 30 years (i.e. 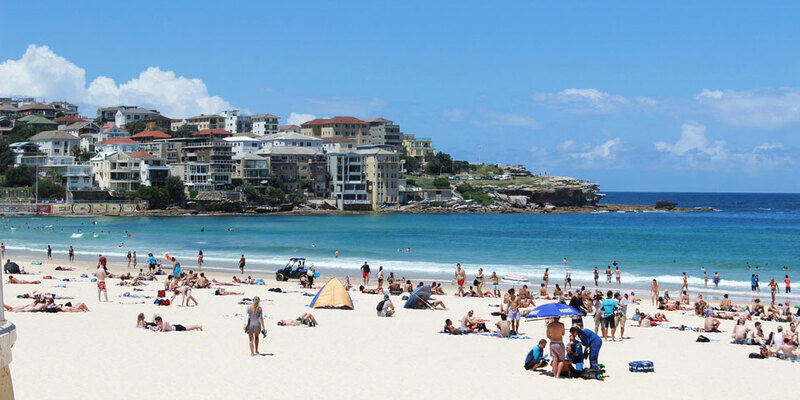 you must have turned 18, but not turned 31, at the time of your visa application) who are interested in a working holiday in Australia of up to 12 months may apply for a working holiday visa. An exception to this rule exists for applicants with a Canadian or Irish passport who may be up to 35 years of age (inclusive) to be eligible. If you would like to return on a second working holiday visa, you must have worked in a regional area of Australia for at least three months. A working holiday visa is valid for 12 months after the date of entry. If you wish to stay in Australia for longer than 12 months, in some cases you will be able to apply for a second working holiday visa. A Working Holiday visa will allow you to enter Australia within 12 months of grant. This cannot be extended or deferred. You can stay in Australia for up to 12 months. You may leave and re-enter Australia as often as you like as the visa allows multiple entries during the visa validity period. During your stay you will be allowed to work for short periods of time as a means of supplementing your funds as you travel through Australia. You may work in Australia for up to six months with any one employer and you may also study for up to four months. In some cases, carrying out Specified Work in a Regional of Australia for up at least three months will enable you to apply for a second working holiday visa. If you return to Australia on a second working holiday visa, you can work for a previous employer for up to six months. Who can apply for a Working Holiday visa? Important: Your age will be determined according to your age in Australia (Australian Eastern Standard Time (AEST)). It is not advised to delay your application until you are nearly 31 years of age. Should you wish to have a dependent child accompany you during your stay in Australia, you should apply for a Tourist visa. If you have dependent children who will not accompany you during your stay in Australia, you must apply using the paper application form. This application cannot be processed online. There are a number of requirements that must be met in order to be eligible for your second Working Holiday visa. You can apply for this visa if you hold a valid Working Holiday visa, or you can apply at a later date. Should you wish to have a dependent child accompany you during your stay in Australia, you should apply for a tourist visa. If you have dependent children who will not accompany you during your stay in Australia, you must apply using the paper application form. This application cannot be processed online. For the initial stage of your holiday, you will be required to have access to sufficient funds to support yourself. The amount may vary depending on the duration of your stay, however, generally $5000 will be deemed to be enough. In addition, you will also be required to have a return ticket or an onward ticket to another destination. You may be asked to demonstrate any required evidence of an onward ticket. Please refer to Australia visa costs and fees. There are certain health criteria that must be met by all applicants. In some circumstances you may need to undergo a medical examination. Tests include chest x-ray, Hepatitis B and/or Hepatitis C and HIV. A decision on your visa application can only be made after the required examinations have been completed. The cost of any health examination is not included in the visa application fee. Note: The results for certain examinations can take a number of weeks to be processed, please take this into consideration before planning your journey. Some countries have a reciprocal health care agreement with Australia. If your country does not have this reciprocal agreement, you are not covered by the Australian national health scheme. In this case medical treatment is likely to be extremely expensive, we therefore recommend that you seek either health insurance to cover your stay or to take out travel insurance which covers medical costs in the case an emergency. To find out whether your country has a reciprocal health agreement with Australia, please contact your local authority. Visit Medicare Australia for more information. Note: This must be the applicants primary employment task and directly associated with the cultivation and commercial sale of plant produce, such as fruit and nut crops (commercial horticultural activities). General garden maintenance is not eligible. Note: Maintaining animals for tourism or recreational purposes is not eligible. immediate processing of animal products including shearing, butchery, packing and tanning Note: Secondary processing of animal products, such as small goods processing and retail butchery is not eligible. Work undertaken in the areas of plant and animal cultivation, fishing and pearling, and tree farming and felling must be described in the list above to meet the specified work requirement. The Australian New Zealand Standard Industrial Classification (ANZSIC) provides further detail about eligible work in mining and construction​. Work undertaken in the mining and construction sectors must appear in the ANZSIC division for these sectors to meet the specified work requirement. Supporting work, such as book-keeping, in any industry described in the list above does not meet the definition of specified work.